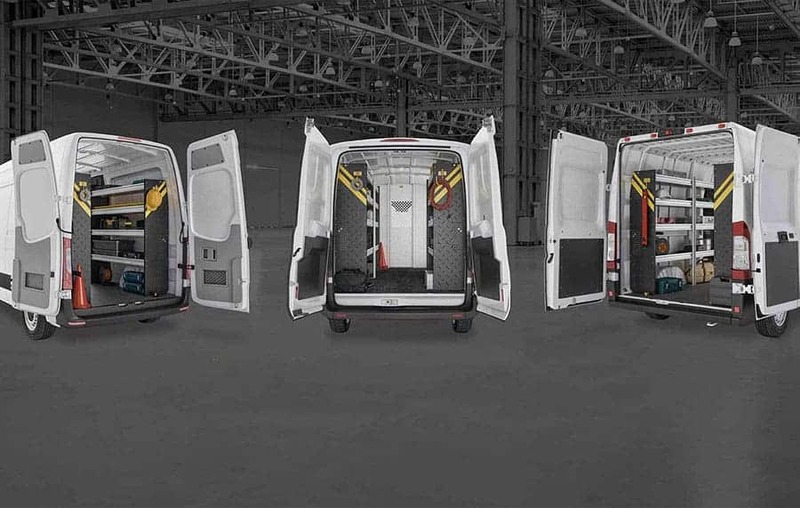 Ranger Design has launched a new range of deep shelving for the Ford Transit, the Mercedes Benz Sprinter, the Ram ProMaster as well as most box trucks. 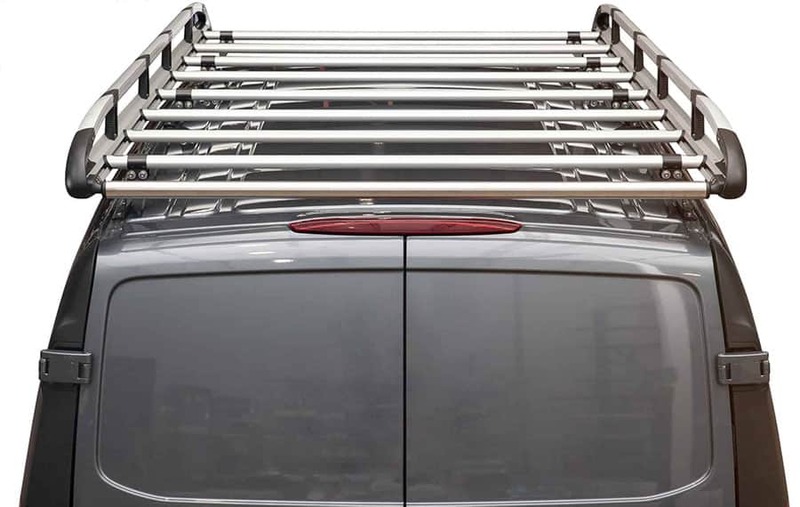 Constructed with steel uprights and using Ranger Design’s signature aluminum extrusion shelf tray these tough shelving units are certainly worthy of the Ranger name! This shelving is 58″ high and 17″ deep, giving a full 16″ of clear space of storage on each shelf. 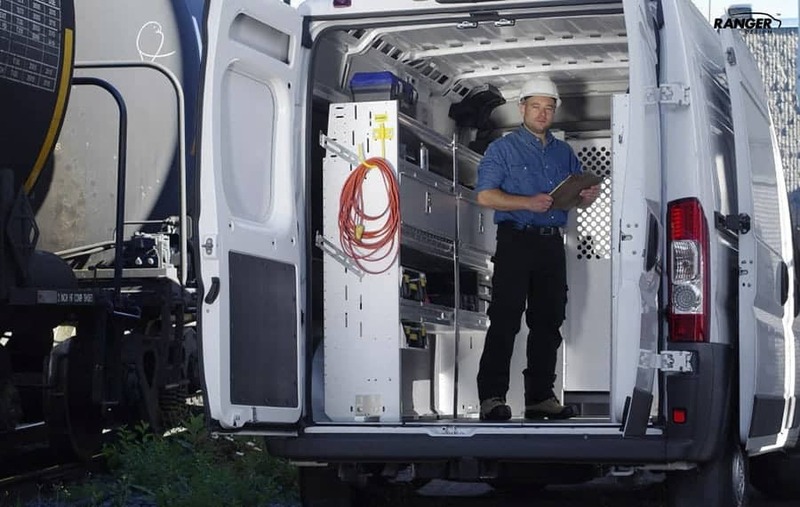 These deep shelving units are able to be installed with Ranger Design’s drill free mounting kits in the Ram ProMaster. The order book will open for these deep shelving units on October 1st 2014. 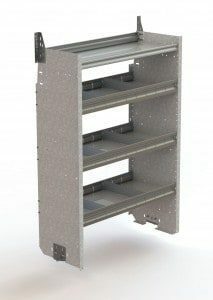 L Type Shelving is designed to be able to accommodate Y35-D large plastic bins (available separately). Contact your local Ranger Design dealer to purchase our new deep shelving.